Am I the only one who feels like the summer is racing by? Here we are at the end of July already. It's time for the big reveal for the 12 Kits of Occasions. 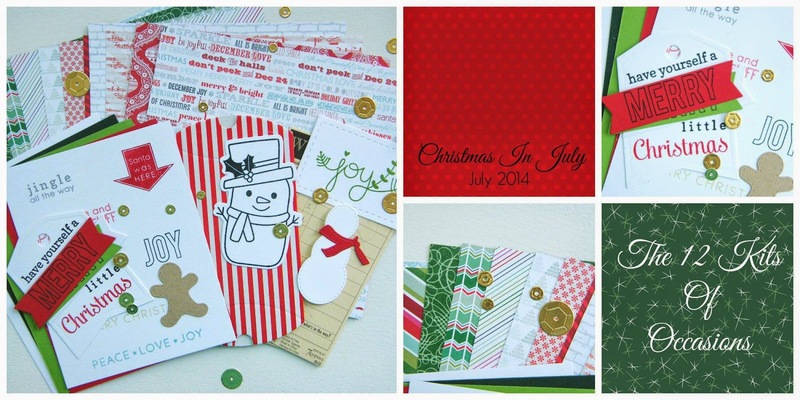 Our host this month is Tracey and the theme is Christmas and winter. Living in Toronto, Tracey sure knows winter. I mean real winter. The kind of winter involving snow. She sent us the most fabulous kit chock full of so many amazing goodies. So many wonderful ingredients, and so easy to work with. My cards practically put themselves together. I was able to make 9 cards and 1 pillowbox gift holder, and I still have lots left over. Thank you, Tracey, for putting together such an incredible kit. Well, that's it for me for today. I cannot wait to look to see what every one else did. 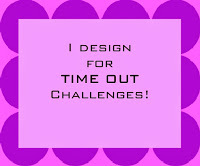 Here are links to all the other designers. Please click here for a complete supply list. 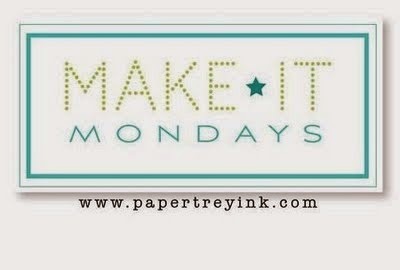 I've got a card today for this week's Make it Monday #174: Diamond Wallpaper Stamping. I used a stamp from Autumn Pattern Pieces to stamp my background, and filled in some of the diamonds with itty bitty paw prints. The background stamping was not difficult, but it did take a long time to do and lots of worries about messing up and starting again. I was sad to think that so much of it would be covered up by my Spiral Notebook die cut, which is where I put all the bits of my focal point. So....I actually cut the Spiral Notebook piece out of that stamped piece, filled it in with a True Black die cut, and now I have a wallpaper stamped Spiral Notebook piece to use later in the week. I made a set of thank you cards for my daughter to use for her birthday thank you's. Of course, there had to be owls on them--I used a strip of owl washi tape to decorate the top panel and a sentiment from Reverse Confetti Lots to Say. They are all a little bit different because I varied the colors as well as which corners I rounded on the top panel. They are A1 size which is about 3X5. That seems to be an easier space for Sarah to fill when writing her thank yous. I well be entering the card and the thank you set at Simply Create Too #66: For a Child, and Simon Says Wednesday Anything Goes. Hello and happy Tuesday. It's time for another challenge at CASology. We have a really fun cue word for you this week--it's RAINBOW. I had so many ideas for this word. There are so many fun ways to use rainbows on cards. In the end, I decided to use a new SSS die that had been patiently sitting on my desk for several weeks. I used the outline part of the die as an inlay within my card front, and then filled in each of the spaces with rainbow colors. I added some texture to the card front with the Canvas/Linen Impression plate, a sentiment from Clearly Besotted and a couple of sequins. Now, it is your turn. What do you think of when you see the word RAINBOW? 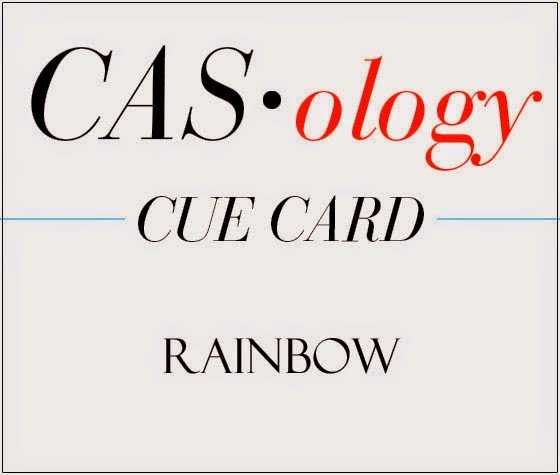 Have some fun with the cue word RAINBOW, and then please link up your creation on the CASology blog by Monday at noon (CST). Check out the beautiful designs from the CASology Design Team members and see how they were inspired by RAINBOW. When I saw this darling card by Marion Vagg for the Muse #71 Challenge, I knew exactly what I would make for my daughter's 15th birthday tomorrow. 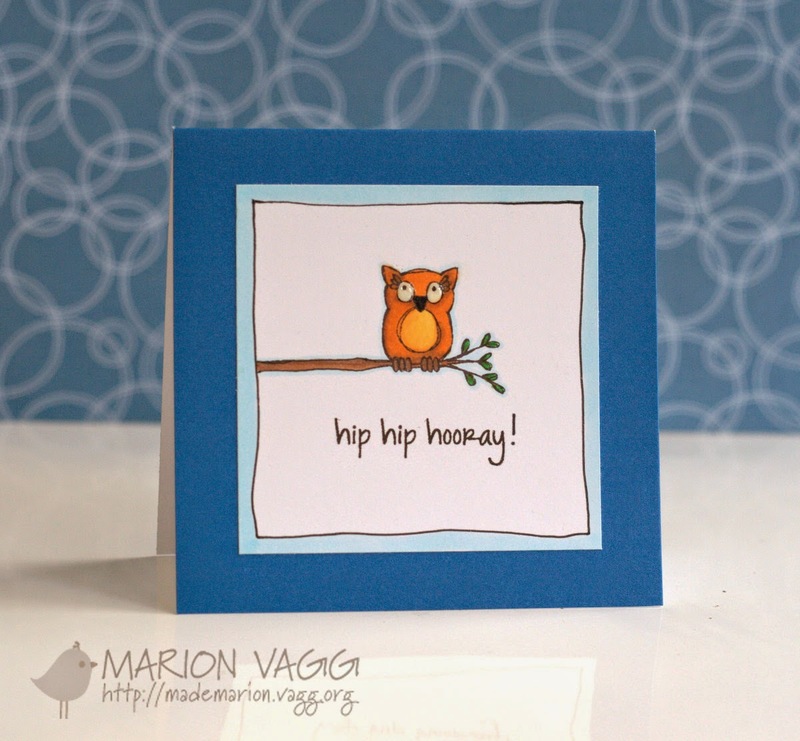 She is nuts about owls, and I loved Marion's card so much, I didn't change much at all. Here is my card. I made a hand drawn frame--never done that before, and then paper pieced the owl and branch from Paper Smooches Hooties. I'll also link this up at Paper Smooches Anything Goes Challenge. I'll bet you are surprised not to see a card for the PTI blog hop. I have been so busy and just did not have time to make anything. And, the little crafting time I had yesterday was spent making these two cards for a 5 year old boy who is gravely ill. His big wish is to get a lot of birthday cards with is name on them. His birthday cards from me will be late, as his birthday is today, but I imagine he will still be happy to receive birthday mail. Here is a link to his story, if you would like to read more and perhaps send him a card, too. Hi. 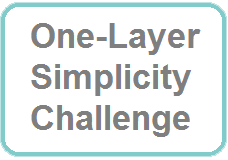 I am popping in really quickly to share a card for this month's One-Layer Simplicity Challenge to Wave the Flag. I was inspired to make this card by a tee shirt I saw someone wearing that used canoe paddles for the stripes on a flag. I was too embarrassed (or sensible) to ask the person if I could take a picture of her shirt for my card-making files. To make this card, I cut a rectangle out of a post it, adhered it to the card, and then stamped the canoe paddles in a line. Then, I put the negative part of the post it on the card, removed the rectangle and stamped stars, embossed them with clear, and then sponged Chipped Sapphire Distress Ink over the stars. This card will be going to Operation Write home, and I will probably cut out the focal point and mat it, as there is an unfortunate smudge of ink that I am not happy about, but for now, it is still one layer. I apologize for my lack of blog visiting and commenting, and hope to get back in the swing of things soon. Hello and happy Tuesday. It's time for a new challenge at CASology. This week, our Cue word is Run. We have a sponsor Add a Little Dazzle, who has provided us with some brightly colored metal sheets to use on our projects. These metal sheets are so easy to cut, and look fantastic when embossed. I broke out a new stamp set that was a gift from a crafty friend--Little Inker Rat Race. How cute is that little rat, running through the maze? I cannot believe that I am posting a rat for the second week in a row. Now, it is your turn. What do you think of when you see the word RUN? 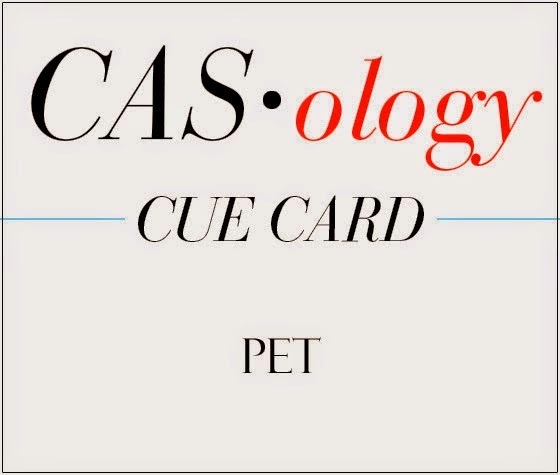 Have some fun with the cue word RUN, and then please link up your creation on the CASology blog by Monday at noon (CST). Check out the beautiful designs from the CASology Design Team members and see how they were inspired by RUN. Hello. I must apologize for not getting around to visit as much as I would like lately. My most recent house guests left today--I did get to spend several hours in my craft room with my mom. Mostly, she was admiring all of my cards and selecting which ones she wanted to bring home with her, and I was basking in her praise and admiration as well as making a few cards for her. She has two friends who will be celebrating milestone birthdays soon, and she wanted something age specific for them. 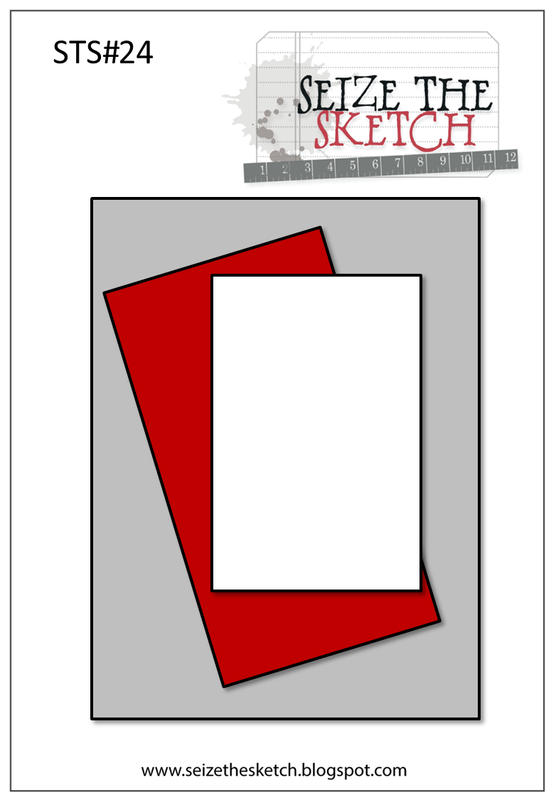 I was able to use the same basic layout, but changed lots of the details to make a card for a woman and another for a man. And, no--they are not married to each other..
My mom loves puzzles, so when I saw the Lil Inker Piece of Me set, I had to get it. I did not have time to make anything for my mom before she visited, so I pulled together these quick cards while she was here. 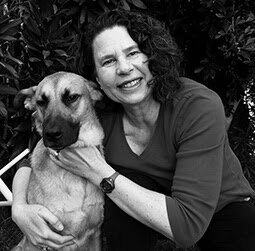 Thanks so much, Amy, for the inspiration. 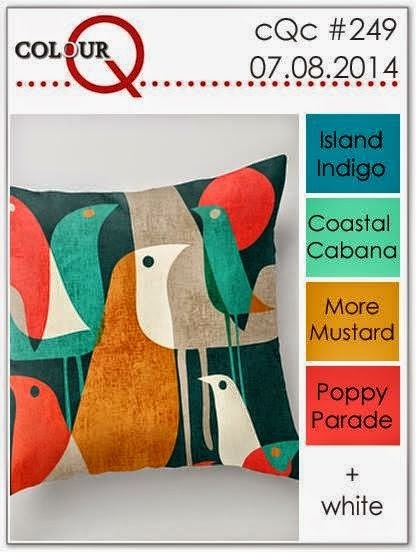 I used this week's ColourQ #249 for color inspiration. I had made a set of mini note cards with patterned paper mini envelopes when my MIL was here last week, and my mom decided to take that set as a gift for a friend. They all fit into a little gift bag that I made with the We R Memory Keepers Gift Bag Punch Board. My mom is a Certified Chocoholic (me too!!) and I had a bunch of chocolate stamps out to show her. I only had a chance to make one chocolate card, and owe her a bunch more using other images. I am excited to complete the set. It will be a delicious project. Last up is a card I had such fun making. I used the sketch at Seize the Sketch #24, and paper pieced everything using Echo Park So Happy Together. This stamp is NBUS and it is called Ilovetoshopabella and I think it is from Joann's. Well, that's it for me for this weekend. I hope you all have a great week.